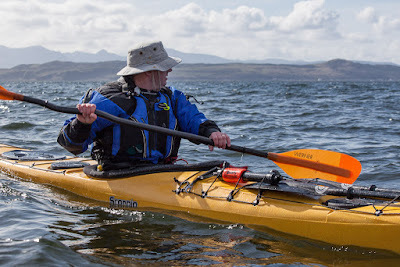 The application of elbow grease to avoid a ferry glide. 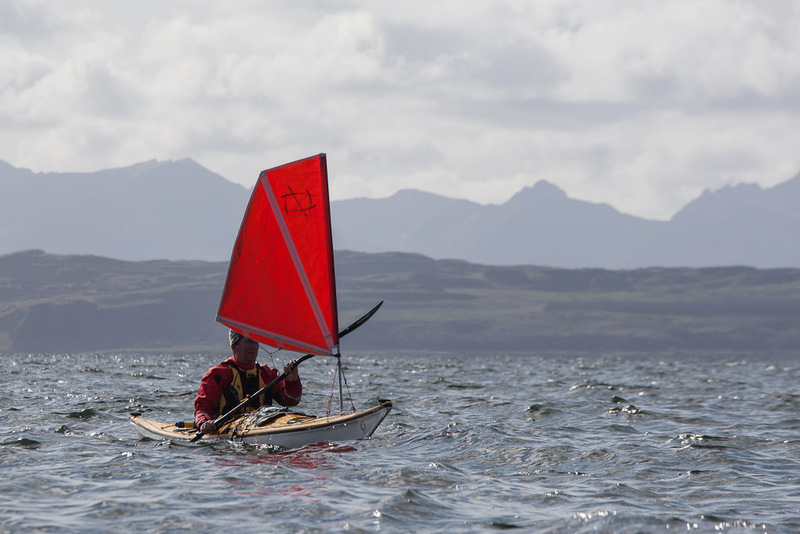 ...continued up the west coast of Great Cumbrae island with Bute and Arran in the background. 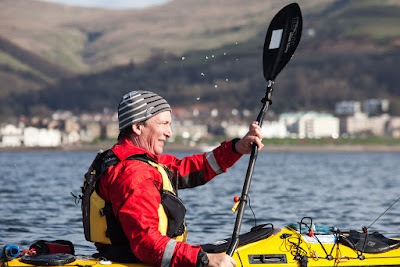 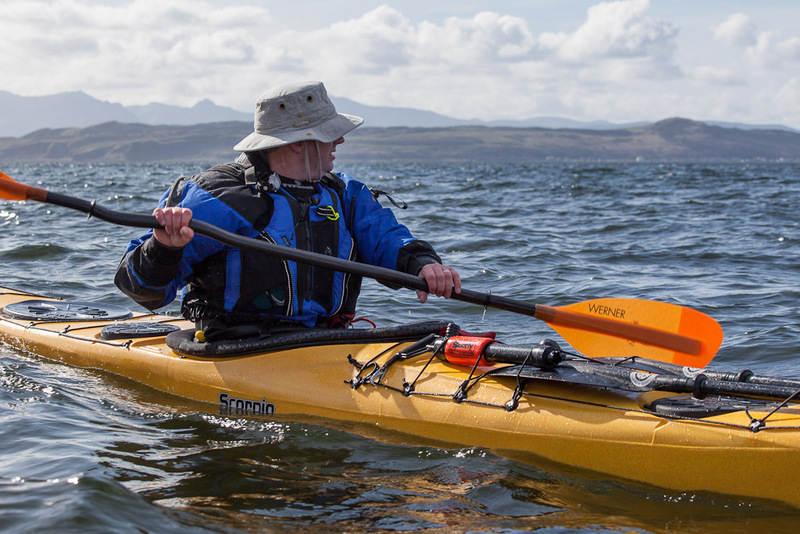 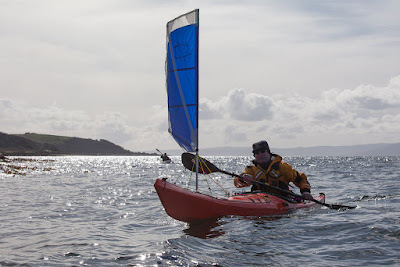 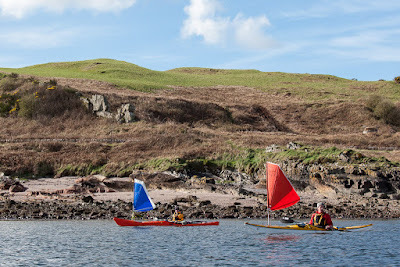 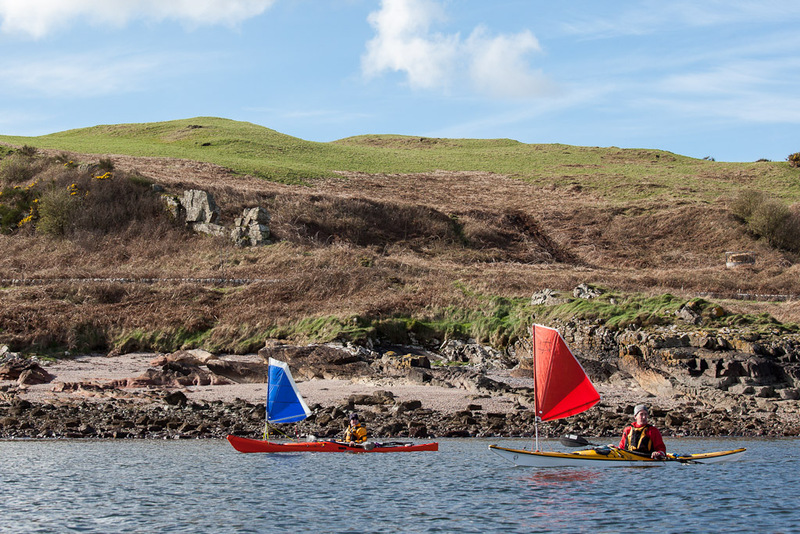 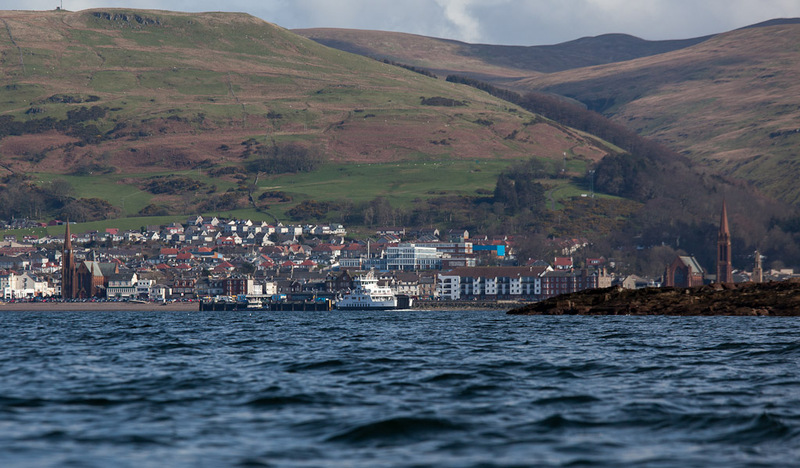 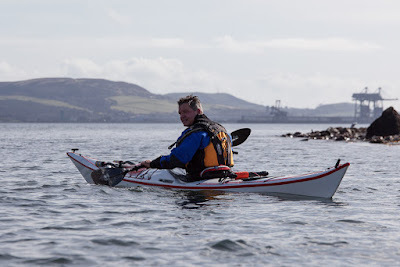 ...not long until we rounded the north end of the island and entered the Largs Channel which separates the east coast of Great Cumbrae from the town of Largs on the Ayrshire coast. 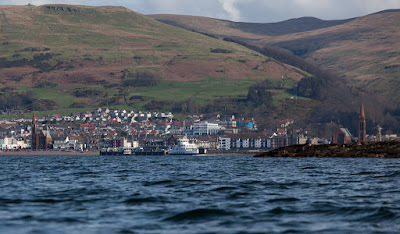 We could now see all the way down the channel to the twin cranes of the Hunterston ore terminal. 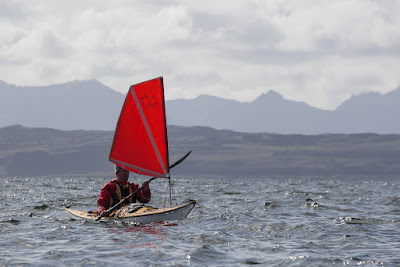 The SW wind had now veered to the NW and we were able to continue sailing on the final leg of our circular course. 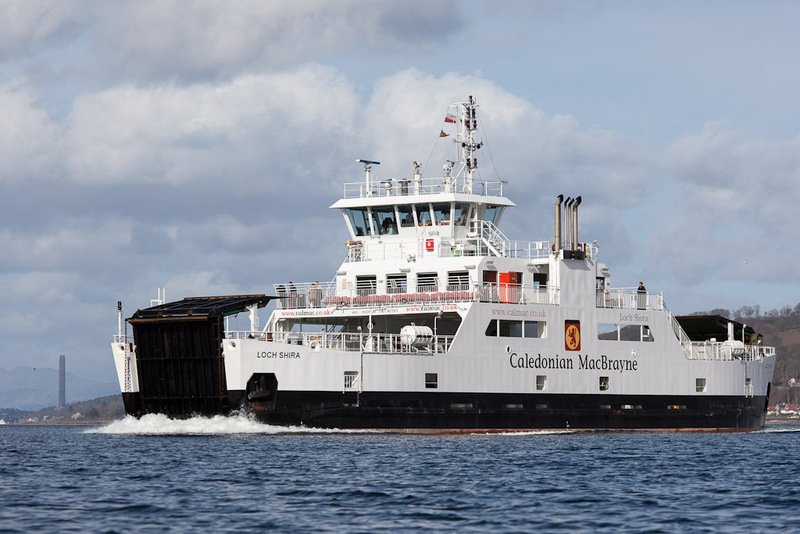 ...to make sure we kept clear as MV Loch Shira (the Largs Cumbrae ferry) rapidly glided towards us.